Donate Your Car Now Online! MVAC’s Wheel Get There program provides donated vehicles to struggling low-wage workers so they can maintain jobs and care for their families. When you donate your vehicle to MVAC, you receive the best possible tax deduction and the opportunity to assist others in the community. Because MVAC uses your donated vehicle to directly help someone in need, the IRS allows you to take the “private party value” as a tax deduction– which is almost always higher than what you might receive for donating your vehicle to a charity that sells its vehicles at auction. Private party value is easily determined and documented using Kelley Blue Book. You can donate your vehicle online right now or if you would like to speak to a person, please call 1-507-345- MVAC (6822) or our toll-free number 1-800-767-7139. To submit your donation online, just click on the button above and fill out the form. A representative from MVAC will contact you about your vehicle as soon as possible, and no later than within two business days. Please note: in order for a it to be considered a donation for a specific tax year, the vehicle’s title must be signed over and received by MVAC no later than December 31 of that year. Go to www.kbb.com and look up the Private Party Value of your car. (Do not use the “Retail” value or the “Trade-In” value.) Choose your vehicle’s condition. You will have a value in minutes. This is your tax deduction. Or, call 507-345-0446 and we will look it up for you. The actual tax benefit you receive depends upon your individual tax situation (tax bracket). We encourage you to consult a tax professional. Q. Does MVAC accept any car on donation? MVAC accepts almost any car. Over 95% of vehicles proposed for donation are accepted. Unlike some charities, age of the vehicle is not usually a factor. Our objective is to get low-income people to and from work. If your car is suitable for this purpose, we will accept it. This even includes vehicles with mechanical problems and minor body damage. Inoperable vehicles (bad engine or transmission, severe accident damage) will have a lower value, but we still accept them. Yes, these cars are acceptable for donation. Even if your car is not suitable for use by a low-income person, we welcome your donation. These cars are often sold to the general public. Your tax deduction is then equal to the gross proceeds of the sale. While your car may not end up being driven by a low-income person, the funds we realize from such a sale often help us place a number of people in cars. Since our car program is not funded by state or federal grants, we are very appreciative of donations like this. Again, please feel free to call and ask. Q. What about boats, campers, airplanes, motorcycles, helicopters, tanks, or alien space craft? Donating is easy. Simply bring the car, the keys, the title, and the lien release (if you have one) to our office. The paperwork takes less than 20 minutes. Yes, in most cases–within reason. Obviously, if the car is in Hawaii, it may be more difficult. If the car does not run, we may be able to have it towed. You will receive a donation receipt, IRS Form 1098-C (Copies B and C), IRS Instructions for Form 1098-C (two copies), and a copy of the signed title showing the vehicle is no longer your responsibility. You can discontinue insurance the minute we sign the title. Q. Will MVAC transfer the title immediately into their name? MVAC is a licensed car dealer in the State of Minnesota. We will register the vehicle online with the State Dealer Vehicle Services as “Held for Resale” within 24 hrs. 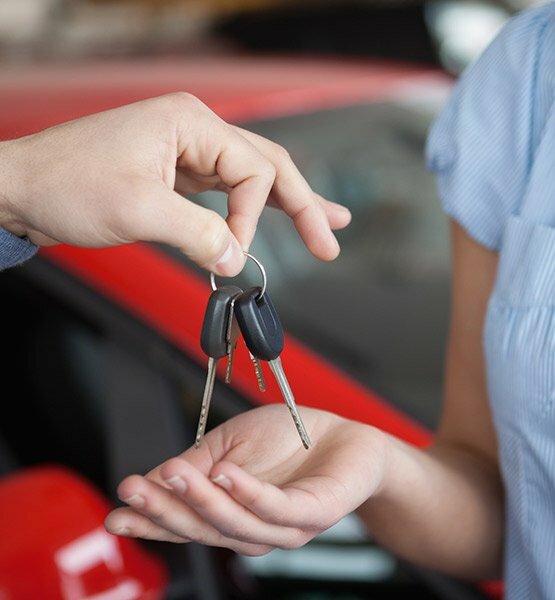 When we place the vehicle with a customer, we will transfer title into their name, as is required by Minnesota State law under the terms of our Dealer License. We have accepted hundreds of donated vehicles and are very careful about this aspect of our business. You will NOT have legal problems as a result of your donation. Q. I thought the IRS changed the rules for car donations. How can MVAC give me such a good tax deduction? The IRS rules for donating a vehicle did change on January 1, 2005. Many charities are now required to first sell the vehicle and then send a receipt to the donor for the exact amount of the sale. (One example of how this applies is when a charity sells a donated vehicle at auction.) HOWEVER, there is an exemption to this rule when charities like MVAC use the car to directly help people in need. This exemption allows donors to claim the Private Party Value for their vehicle. Plus, they do not have to wait until it is sold to get a receipt. Your generous donation to MVAC will be used to help low-income individuals and families in our area. Owning a reliable vehicle makes a real difference for people as they get to and from work and become self-reliant. Donating to MVAC qualifies you for the best possible tax deduction!